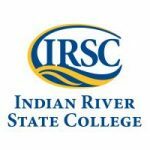 This course is being held at Indian River State College – Treasure Coast Public Safety Training Complex – Fort Pierce, FL. Participants will be prepared through a five-day program to obtain safety authorizations for public and private disaster site responders and workers. Courses include OSHA’s 15-hour Disaster Site Worker, Hazardous Awareness and Communications, and Incident Command. March 27-29, 2019 – Arkansas Environmental Training Academy, Little Rock, AR. In conjunction with NESHTA 3-day Designing & Delivering Effective Training Pre-Conference Workshop. 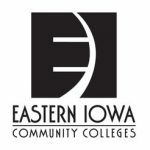 April 23-25, 2019 – Northampton Community College, Bethlehem, PA.
July 16-18, 2019 – South Central College, North Mankato, MN & NESHTA Annual Conference/Member Mtg. Minnesota Conference brochure coming soon. The National Partnership for Environmental Technology Education (PETE), is a nonprofit 501(c)3 organization that helps facilitate, partnerships with educational institutions, industry, and government. © 2018 National PETE, 584 Main Street, South Portland, Maine, 04106.